It’s lunchtime with BLT Grilled Chicken Burrito at a popular and hidden burrito place in DuPont Circle, DC neighborhood. When I say hidden, I mean you might have to look for a bit to find it. It’s hard to find this small door located on a side of a building in a narrow alley it’s very easy to pass it by. 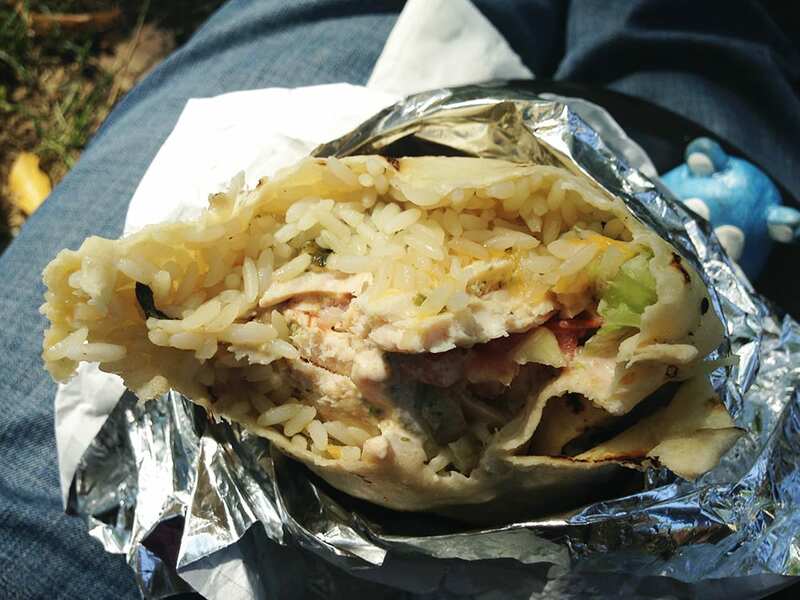 It’s worth this quest to find the hidden gem and try their Friday special burrito. 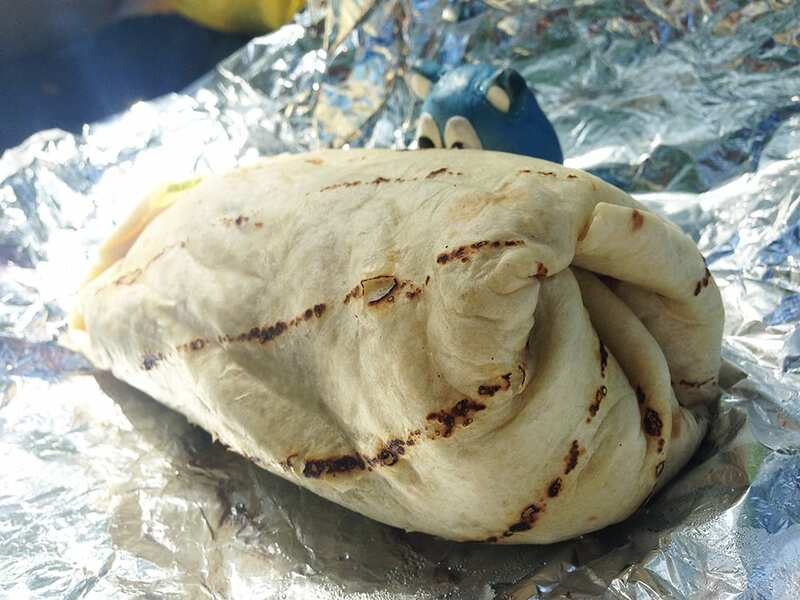 This massive boys head size burrito comes packed with a ton of grilled chicken, rice, tomato, cheese, sweat-inducing spicy mayo, and bacon. 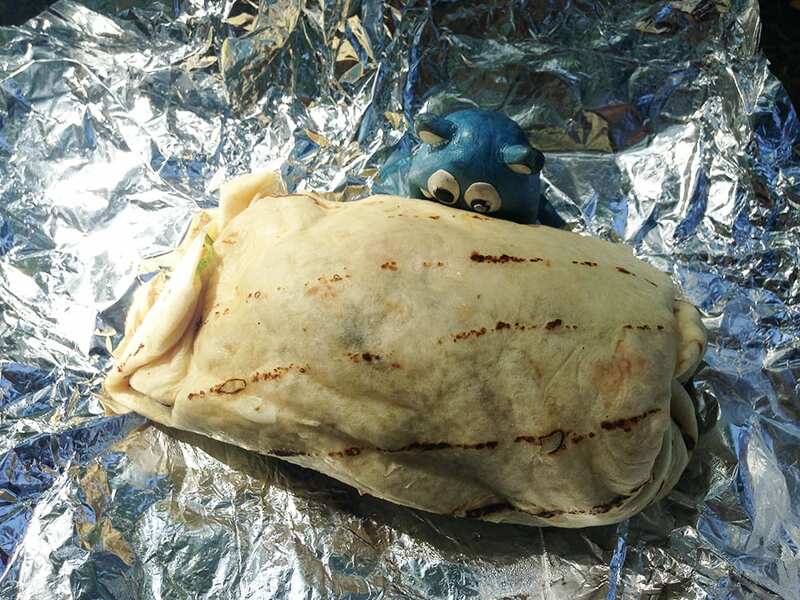 Make sure to schedule a mandatory two-hour nap after eating this burrito. Kind of wish there was a lot more bacon, it got lost among all the rice and chicken. Don’t be surprised by the number of people that come to try this special of the day. Great price for so much food for just $9. Big debate erupted if I should finish it, my stomach was saying there is no room, but my mouth wanted more of that nomnom flavor. Totally worth the food coma.